Vegan Prune Tea Cake - YoursTrulyHandmade.com - DIY, Home Rennovations and a lot of crafts! 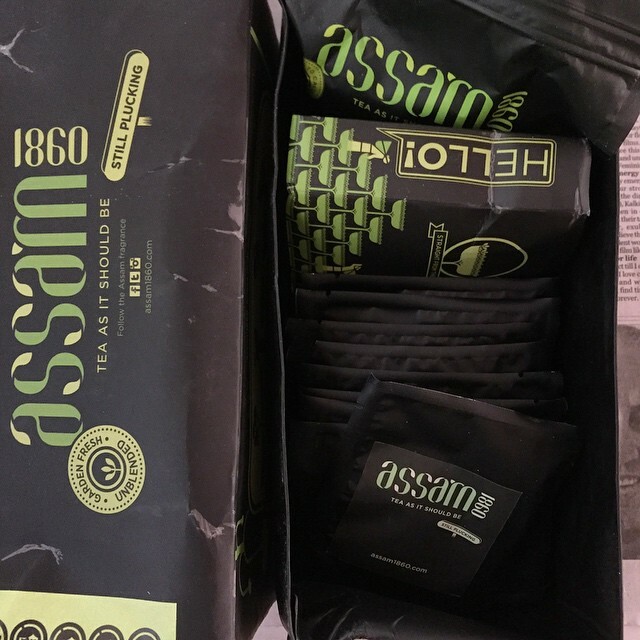 The folks at Assam1860 Tea sent me a sampler of their beautiful tea. It’s straight from their plantation, minimally processed and just like how I like my tea, strong and rich. 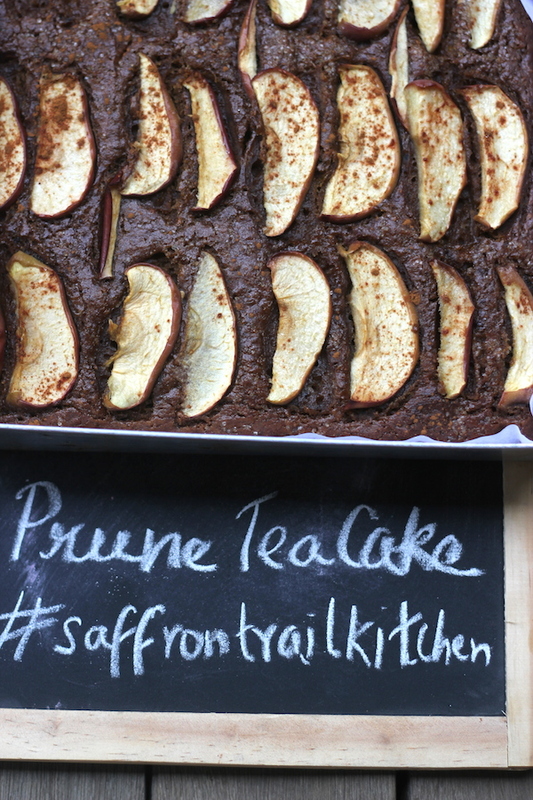 I decided to marry the flavours of the strong and intense Assam tea with the prunes and the result was a soft, homely cake that is perfect with your cup of tea. Or coffee. Or even in your kid’s snack box. My son was quick to comment when he saw the cake come out of the oven, “if this looks and smells so good, I cannot imagine how good it would taste”. It was quite hilarious to see him ply my cake and me with compliments, just so he could get his hands on a couple of slices asap. 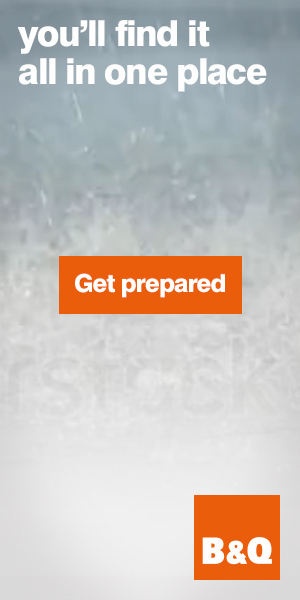 Prepare a 9″ square baking tin with parchment paper or greased aluminum foil. Keep aside. 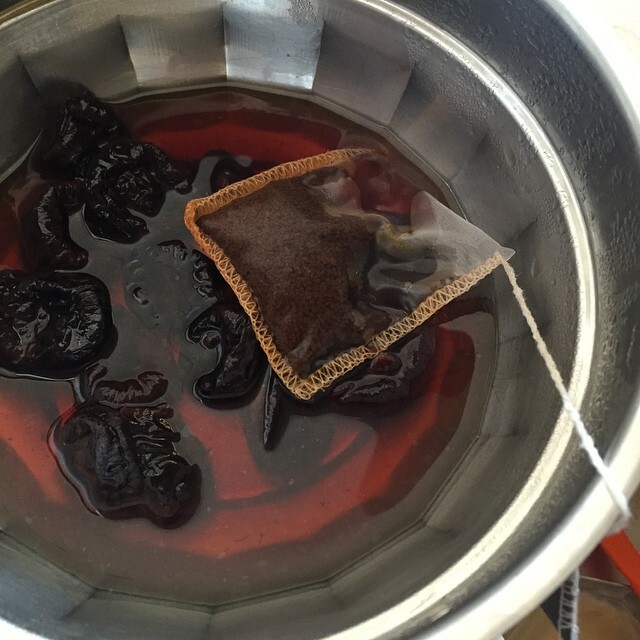 Soak the prunes along with tea bags in boiling hot water. Keep covered for 2 hours or so. In this time the prunes with soak up most of the tea liquor and become soft. Squeeze out the tea bags and discard. In a blender, using the soaking liquid, blend the softened prunes, sugar, jaggery, oil and marmalade until you get a puree. In a bowl, whisk the dry ingredients. Make a well and add the prepared puree, vinegar and vanilla. Gently mix together until all the flour is absorbed. Do not over mix. If the mix is dry, then add upto 2-3 tbsp of warm water, 1 tbsp at a time until you get a cake batter consistency. Scrape out the batter into the prepared baking tin. 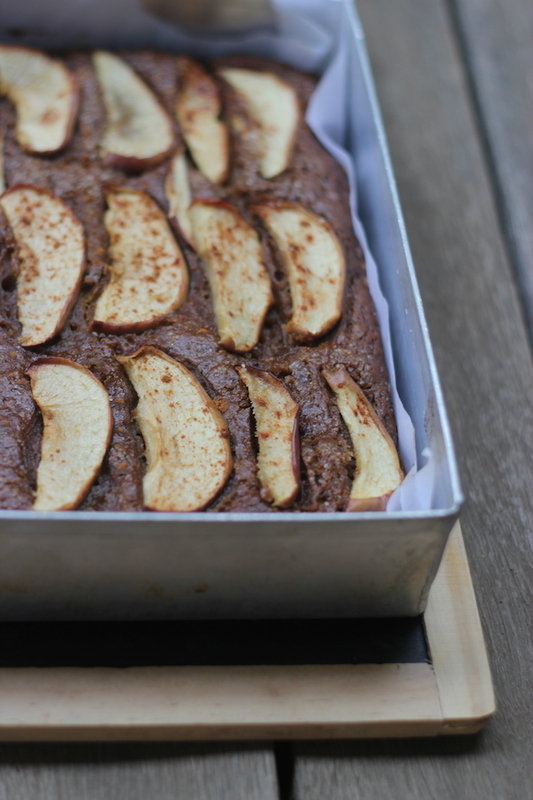 Gently place slices of apple on the top, sprinkle a mix of cinnamon and sugar over this. Bake for 35-40 minutes until a knife or tester comes out clean. Allow to cool in pan for 5-10 minutes. Remove from pan, peel out parchment. Slice into squares and serve warm. 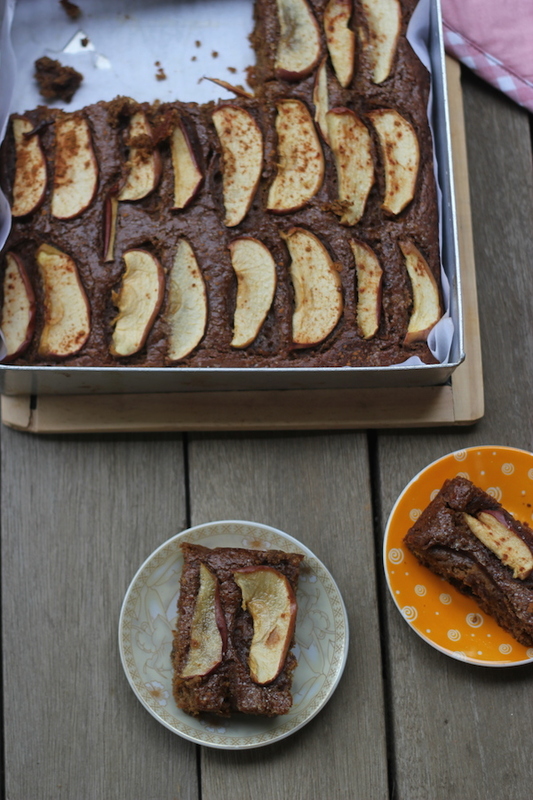 The apple slices are optional but in the absence of any sugary icing, it does make the cake look a lot prettier.